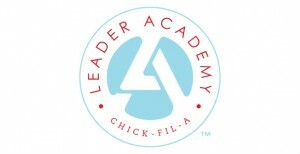 Chick-fil-A Leader Academy at LCA is a monthly gathering of students going through training put together by Chick-fil-A. The program allows students to serve the community and learn through active participation in projects that will allow them to practice what they are learning. LCA is one of only 3 high schools in Minnesota currently involved in the program. LCA’s kickoff event was enjoyed by 32 students who were brought a delicious boxed lunch by Chick-fil-A’s Jason Griggs, accompanied by the Chick-fil-A cow-mascot. During the kick-off event students packed meals for Second Harvest and learned about leadership together.